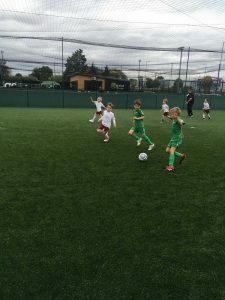 On Tuesday 2nd October 2018, eleven primary school teams of year 2 children attended our mixed football festival held at Playfootball, Romford. Matches were played with high energy and in good spirits, supporting our school games values for the event of teamwork and determination. 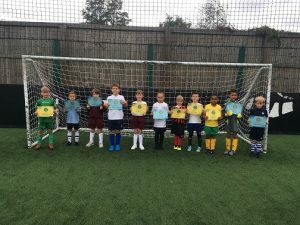 Values were awarded to all schools with teamwork going to Benhurst, Clockhouse, Parsonage Farm and St. Peter’s and determination to Gidea Park College, Harrow Lodge, Oakfields Montessori, St. Joseph’s and St. Patrick’s. 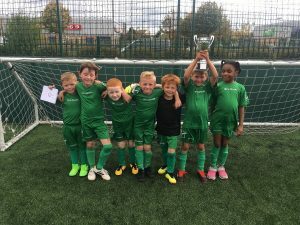 Group winners were St. Peter’s and Parsonage Farm who played an exciting final, resulting in Parsonage Farm winning by 3 goals to 1. Well done to all the children who took part in the day. Thanks to the spectators for your support and to Playfootball for hosting. Full results can be viewed under Primary Results. Photos of the day can be viewed under Primary Gallery.